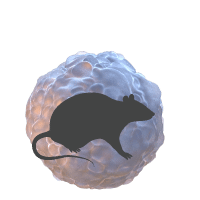 InSphero 3D InSight™ Rat Islet Microtissues are currently in the final stages of product development and quality control testing. 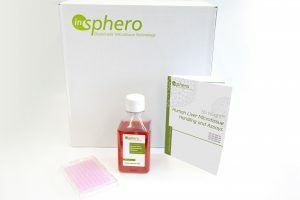 If you are interested in beta testing this product to help us further characterize the model and develop useful endpoints, please click on the Get Started button below to contact us. 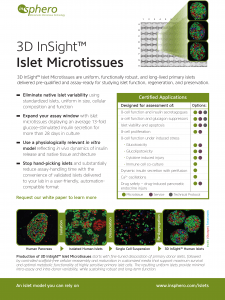 3D InSight™ Rat Islet Microtissues display stable viability, robust ß-cell function and optimal incretin response for more than 28 days in culture. Within each microtissue, the endocrine cells adopt a ß-cell core and the non-β-cell mantle architecture similar to native rat pancreatic islets. Uniform cytoarchitecture and functionality of rat islet microtissues enables simultaneous assessment of multiple endpoints (e.g. glucose-stimulated insulin secretion, total insulin and ATP content) in a one-islet-per-well format. The standardized islet size provides more uniform compound penetration and simplifies evaluation of changes in tissue size. 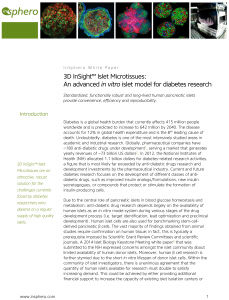 with a robust islet model that ensures reproducible results.